Seventeen-year-old Lila Beckwith’s parents just left for vacation, and Lila’s all set to throw the holiday party of the season. But when her Christmas-obsessed little brother, Cooper, discovers that global warming is melting the North Pole, he and his best friend, Tyler, take off on a runaway mission to save Santa. Lila has to get Cooper safely home before her parents get back on Christmas Eve. But the only person who can help her is Tyler’s older brother, Beau  a.k.a. Lila’s musician, anti-everything ex-boyfriend. It’ll take more than a Christmas miracle for Lila and Beau to overcome their differences and find their fugitive brothers. But could a journey destined for disaster help these polar opposites fall in love…all over again? It seems to be a new sort of tradition that I break out the Christmas themed YA around the holidays. 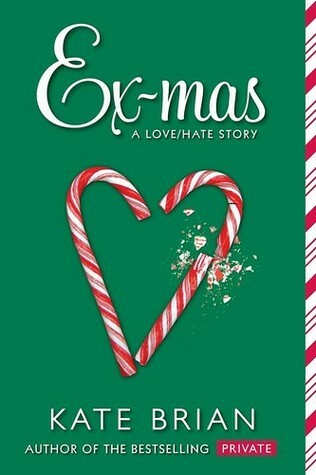 This year’s pick: Ex-Mas by Kate Brian. This was a pretty cute, fun read. I found Lila really, really grating at the beginning. But their journey was interesting, especially as I’ve spent time in all the places they travel to. The story was pretty clever and fast-paced. I liked that, not only did this book follow the story of two little boys journey to save Santa, but it also touches on the meaning of Christmas for older people, too. Lila definitely learns something about what’s important: not only to her, but in life. When Christmas at her house finally rolls around, there was definitely a few touching moments there. Christmas wasn’t just a time and place in this novel; it played a part in the plot and the way it informed the main character’s journey.